In a move aimed at improving the flexibility of its capacity management, Russian leisure airline iFly is adding two smaller aircraft to its fleet of long-haul jets. 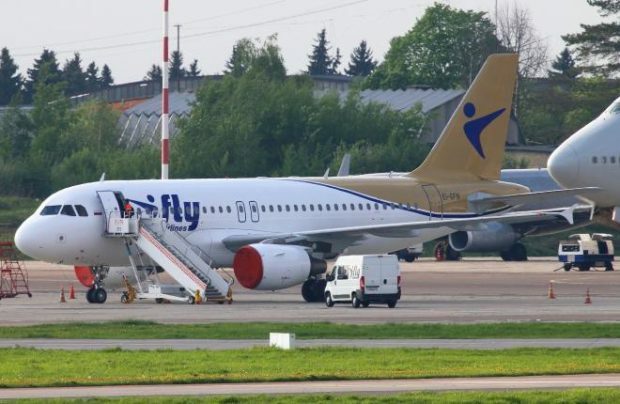 An Airbus A319, a new type for iFly, has been seen at Vnukovo, the airline’s base airport. Until now the carrier has operated only long-haul aircraft: six wide-body Airbus A330s and one single-aisle Boeing 757-200. The newly-arrived A319, registered as EI-GFN, was previously operated by the three Russian carriers RusLine, Tatarstan and VIM Airlines, the last two of which went out of business. The first operator of the 13-year old aircraft was EasyJet. The airline first signalled its interest in narrow-body operations in 2015. “We want to slightly reduce our capacity whilst at the same time remaining in our price segment, because our partners demand very stringent price-per-seat requirements on some routes,” an executive of the airline told Russian Aviation Insider at the time. “Besides that, our strategy is based on the highest efficiency of fleet operations. So we focus on aircraft with an average age of between 10 and 12 years, with their predictable operation costs. It will either be the Boeing 737-800 with 189 seats, or an Airbus A319 seating 156 passengers,” he revealed. Founded in late 2009, iFly’s original purpose was to transport holidaymakers for the Tez Tour travel agency. In March this year an unnamed company, with Hong Kong backing, acquired a share in the airline. In 2017 iFly entered the list of Russia’s Top-20 airlines, having carried 744,200 passengers, up 84.3 per cent on the previous year.